In the midst of the chaos and distress of the times, do you sense an awakening? If so, you are part of the "Remnant Rising." What does that mean? Remnant Rising: A Watchman Call to the Nations will answer your questions. May the pages of this book raise the rallying cry, inspire revelation, and ignite the fire of revival as this wave of "Watchman" prayer moves across the nations. 9/11 represented a "set time" in history. It's redemptive call is in a parallel scripture, Amos 9:11…a call to restore intercessory worship in the spirit of the tabernacle of David. This book will take you on a journey into the heart of an emerging move of God that is transforming lives, communities, and even nations to "Prepare the way!" Have you encountered disheartening misunderstanding, criticism, rejection, or even betrayal by others, even Christians or those close to you? If this is you, consider yourself earmarked by God for His purpose. Find out how you can apprehend God's heart in the midst of trials and cross over into Kingdom authority. 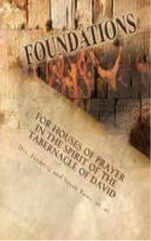 Booklet describes the essentials of a prayer watch with biblical and historical foundations. Today as times intensify, God is calling His watchmen into alertness to prepare the way for an awakened and ready bride. 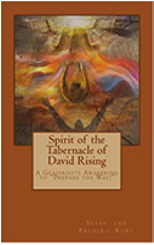 In these challenging times, God is moving to restore corporate intercessory worship in the spirit of the tabernacle of David as Amos 9:11 relays, "On that day I will raise up the tabernacle of David, which has fallen down, and repair its damages…and rebuild it as in the days of old." It is emerging throughout the globe and becoming increasingly vital to an effectual Christian walk and Kingdom advance. As a complementary addition to the present-day church, this corporate call to prayer and worship is propelling the body of Christ into its finest hour. This study-guide relays key biblical, historical, and practical foundations to build healthy corporate prayer and worship environments to advance God's Kingdom with transforming power for our individual lives, cities, and nations to "Prepare the way!"